The Center of Everything is the fictional story of 10-year-old math prodigy Evelyn Bucknow. Living in Kansas with her single mother and deeply religious grandmother, Evelyn believes she is destined to marry Travis, the boy next door. But as she grows up, she experiences the heartbreak of a love not meant to be. 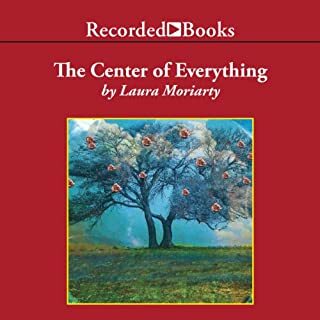 Author Laura Moriarty was a recipient of the George Bennet Fellowship for Creative Writing at Phillips Exeter Academy. Leigh is the mother of high-achieving, popular high school senior Kara. Their relationship is already strained for reasons Leigh does not fully understand when, in a moment of carelessness, Kara makes a mistake that ends in tragedy, the effects of which not only divide Leigh's family, but polarize the entire community. It’s been a long time since I’ve felt a book was as lovely and touching as “The Chaperone” turned out to be. I was unable to put down this engaging story once started; so much so that when my ipod fell to the floor and gasped its final breath last night, I found myself rushing to reach the store prior to its closing so I could grudgingly replace the traitorous device. While (in reality) Louise Brooks may have been the star, in this novel it’s Cora Carlisle that captures our hearts. We join Cora in 1922, during the summer of her 36th year. For reasons that will soon be reveled, she has decided to chaperone a then 15 year old Louise from Wichita Kansas to New York City, so Louise may participate in a dancing program she has been accepted to. I was amazed at how complete and authentic Cora was; reminding me of my mother, or the stories she tells me of my grandmother, at every turn. It would be so easy for an author to sell a character like this short; representing her strength but not her fear, or her fear without the background that caused it, or highlighting her open mind without bothering to first show us the searching or struggle gone through in order to open that mind. What makes us honorable in life is not what comes easily, but rather that which has been hard fought. As we look back on Cora’s first 36 years, and follow her through the rest of her life, we are presented with a picture of a complete, strong, and kind woman that I will miss now that the story is over. I’ve always been a fan of Elizabeth McGovern, and the narration was superb, treating Cora with the grace and dignity she deserved. I really don’t know how I'll be able to move from this special story to any other book. It leaves all other options looking a bit lackluster. 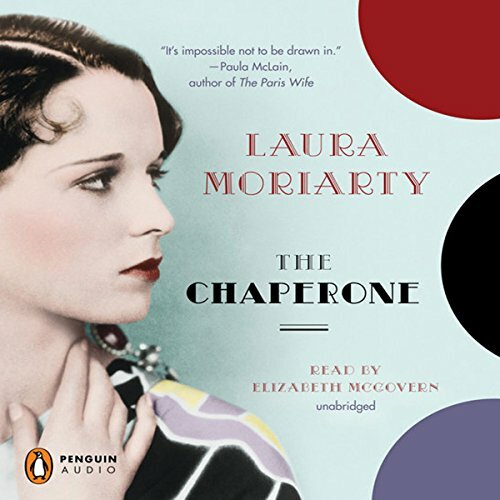 The Chaperone simultaneously depicts the changing social culture during the 1920's, as well as the feminist self-awakening of small town Wichitan, Cora Carlisle. The author uses actual historical events, places, and people to shuffle us through this momentous era - almost Forest Gump style - with recognizable period icons gliding along in Cora's backdrop like pictures in a scrapbook of her life, (flapper girls, bathtub gin, the Jazz age, racism and the KKK, women's suffrage, birth control, etc.). These fascinating images embellish Cora's recollections; they are recognizable, relatable, and immediately draw in the listener. The most exciting vehicle in Cora's transforming journey is the famous silent film star Louise Brooks, who is used more as a catalyst for the stoic Cora's introspection, and a representative image (and result) of rebellion, than a co-star in the book. 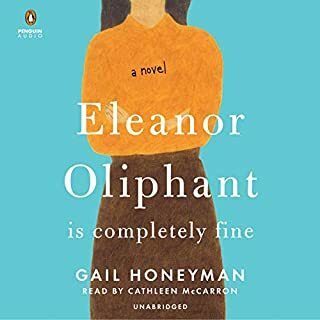 This book is immediately enchanting and breezy with nicely shaped characters, that coincidentally represent different personal pathways in this changing time (almost allegorical); sometimes appearing a little too convenient, a little too token--but understandably necessary to carry this story in its evolution. The pacing was a little bothersome...initially, I enjoyed being able, while I listened, to compare where we are now with our social mores, how we are still struggling with some of the same issues and restrictions; later, the story seemed to jump ahead, speed up, step back, and skip over important details. Moriarty so skillfully lays out the images and feelings of the era, the vivid streets of New York, the tumultuous social clashes, and I would have liked for her to use that talent to tell us more about the war, the depression, the Dust Bowl (which would have made a book double the size - but would have been all right with me; call me selfish). I can't end without mentioning one of the most important underlying issues; the sexual abuse of Louise. I haven't read Louise's own account of her childhood, or testimonies to the 15 yr. old's psychological maturity, but, I know that being routinely sexually abused from the age of 9 yrs. old would not create a 15 yr. old girl that is cool, savvy, and spunky--as Louise was portrayed. The author hints at the self-destruction, and the reader follows the logic that she was a self-driven, uncannily beautiful woman, at ease with her sexuality and ahead of her times, when in reality, a background of such extreme abuse would sadly play itself out throughout a victimized person's life--and that was what was so heartbreaking about, and destructive to, Louise. A touching and entertaining read I highly recommend. Elizabeth McGovern does a beautiful job, giving each character the emotional depth and individuality needed to do justice to such a huge story. You can't go wrong picking this one; a classic in the making. What did you like best about The Chaperone? What did you like least? Cora accompanies a spoiled 15 yr old who's destined for greatness to New York. Fairly predictible, but well written and narrated. As a fan of Elizabeth McGovern, I enjoyed her range in bringing the different characters' voices to life. Cora's backstory is the most interesting part of the book. The author gives a lot of detail in some sections and then tries to wrap it up spanning long periods of time glazing over particulars to give each character a proper ending. Acceptable and interesting read, just don't expect a a neatly wrapped package nor a blockbuster. Would you recommend The Chaperone to your friends? Why or why not? Would pass on I like it and it's an interesting period piece; didn't love it. Was The Chaperone worth the listening time? What made the experience of listening to The Chaperone the most enjoyable? What does Elizabeth McGovern bring to the story that you wouldn’t experience if you just read the book? I could listen to her reading while I was working onmy other computer. If you could rename The Chaperone, what would you call it? Sometime the good guys win? I don't know. 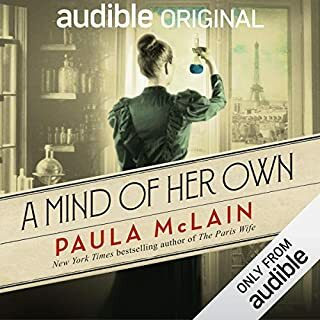 This may be the best book I've ever listened to from Audible.com. I will certainly listen to it again. 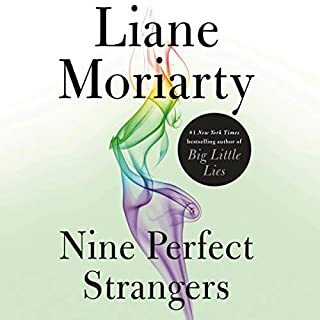 I have downloaded two more books, one by Laura Moriarty and one because it is read by Elizabeth McGovern. I certainly will get her reading of Downton Abbey. I think I prefer women's voices because women read to me when I was a child. Those were peaceful quiet times. Something in me responds to being read to. 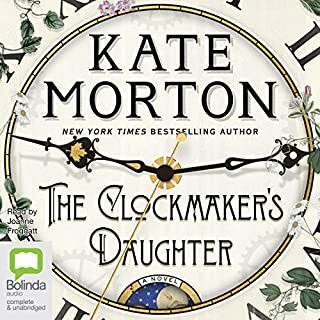 I listen to a book every night on my Ipod, but some that are as good as this one, I listen to in the day because I don't want to miss anything. For some reason this book didn't pique my interest when it was first available. It didn't sound remotely interesting. I kept hearing great things about the book but I had no motivation to read it. I eventually bought it when it was on sale, thinking that some day it might be worth reading. When I finally read the book, I realized that the praise I kept hearing was well deserved. Elizabeth McGovern did a great job with the narration. She matched the period and the main characters perfectly. The characters were extremely well developed and the author did a great job of laying out a complex and multi-staged lifetime in a little over 13 hours. Not that long of book - when compared to other life-spanning fictional sagas. The plot was never predictable. I was continually surprised by the unexpected twists and turns taken. I assume it is difficult to write about a real person who has a somewhat mythical persona, someone considered "larger than life" through at least a portion of their life. It must be even more difficult when you are attempting to write about them as just a person, not a myth. 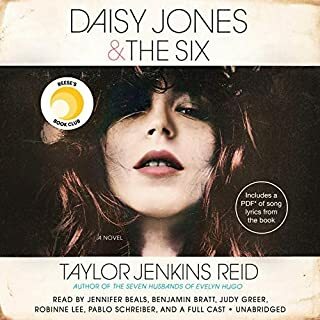 The author brings Louise Brooks to life, not as a movie star, but as a young lady and then a middle aged woman with the same problems and issues as they rest of us face daily. She made Louise more human and so more likeable. I am extremely glad I finally read this book. I found it terribly gratifying and satisfying and recommend it heartily. I was ready to drop this book after about the first third but then the story took a turn for the better. The story of Cora's self discovery is much more interesting than that of Louise Brooks development and i feared that's what the focus of the novel might be in spite of the title. I fully enjoyed the story although the narration was at times a bit grating (why does the narrator have an English lilt?) but overall did a fine job. What was one of the most memorable moments of The Chaperone? Which character – as performed by Elizabeth McGovern – was your favorite? Who was the most memorable character of The Chaperone and why? Narration a bit too precious for me but overall worth the time and credit. Really enjoyed the story and writing style. Would you listen to The Chaperone again? Why? So many surprises with these characters. It is interesting to see the changes in viewpoints and attitudes people can have as the events of their lives mold them. I loved this book and EM's wonderful performance. I was captivated by this book. Such a good read. Loved this book. I don't write reviews often, but I buy books because of the reviews written. This story really touched me and I would highly recommend it. Wonderful characters, compelling story line and exquisite prose - it really doesn't get much better than this. It kept surprising me - the levels of complexities just grew and grew without creating confusion. It is beautifully written and the story is so well crafted that once again, I kept exercising even though I was technically done. This is a story of love and caring that will stay with me for a long time. There are a lot of memorable scenes. I think the novel touches on human nature a lot. Cora, because she is so real, and I think most readers will like her, though maybe not all of the time. But is anyone likable all of the time? I really think this story is refreshing. Some of the period stuff is neat. I think it was well researched.